We get it. But this is a safe sharing space, so let’s just drop the facade for a minute and get real: Even though we love those little buggers more than life itself, parenting can be grind. Whether it’s the 3 hour crying and screaming sessions at bedtime or the accidents that not only can happen, but do happen (and, like, all the time) or the fact that they suddenly lose all ability to walk faster than a snails-pace when you’re already late and trying to rush them out to the car….sometimes, that whole raising a kid thing can be tough. But you know what makes it worth it? Costumes like this Toddler Sweet Little Angel Costume. Even if your little one is basically the Tasmanian Devil incarnate, has a meltdown at the drop of a Cheerio, and only knows how to talk while screaming (it’s just, you know…her personality! It has no reflection on you. 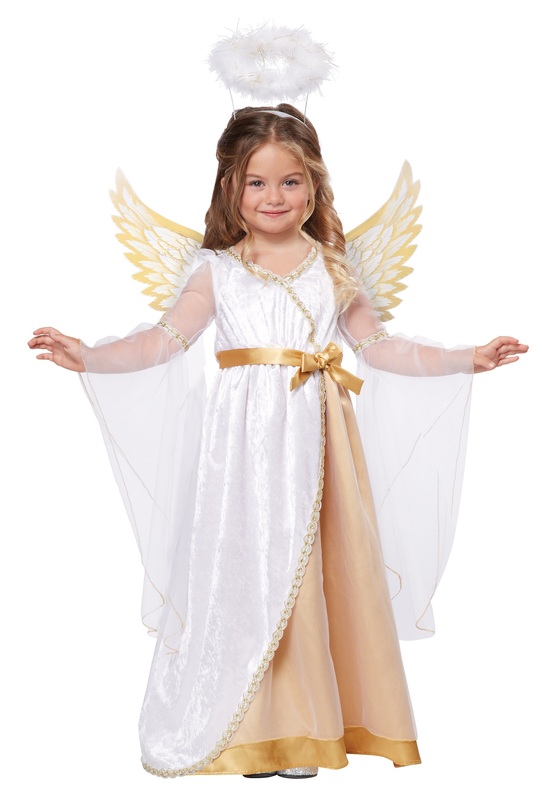 She’s just coming into her assertiveness), slipping on this velour dress and attaching those gorgeous golden wings and fluffy halo will still let you - and everyone around you (hurry up and take her to that Starbucks! Show ‘em that she can be sweet after all!) - pretend that she’s been sent from heaven to bless you with constant peace, love, joy and grace. Good luck? Great costume! It looks exactly like the Pic. My girl loves it! Most definitely will buy again! Material, not suitable. Looks nice in the picture.